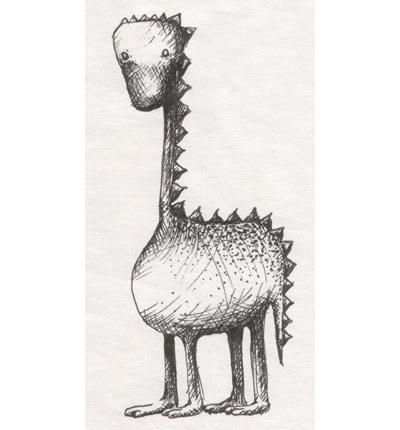 Four-legged monster with two little toes on each foot, a fine-speckled wide-girthed body, little spikes on a small head, long thin neck, along the back and down a short tail. What draws you to this monster? What does this monster have to tell you?